American company KnightLuxury is above all focused on luxurious tuning, for which you have to reach deep down into your pockets or significantly lighten your bank account. Package of upgrades has been prepared for luxurious limousine Maybach 57S, which has never been in favor of customers but its luxurious look cannot be taken away. In spite of closing its Maybach manufactory in 2012, Daimler company with its models is not destined to be forgotten. Present owner of brand is not certain about the future of Maybach. Production was disrupted in 2012 because of very low demand for these models. 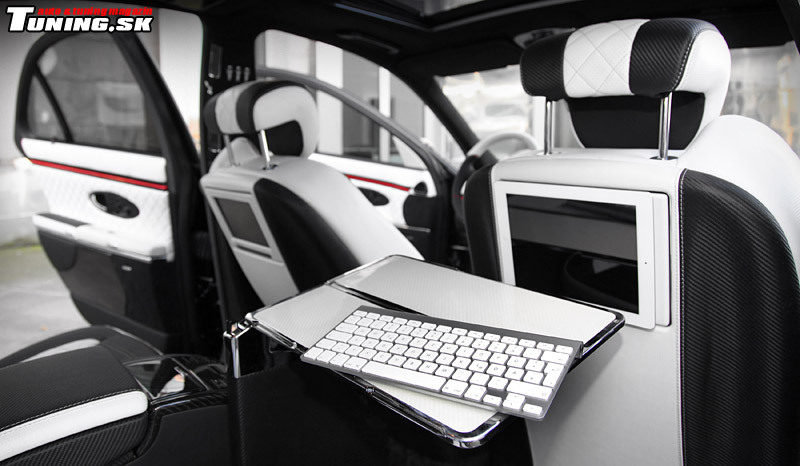 Lets not forget that technologically, Maybach models are derived from Mercedes S class, on top of which they could offer generous interior space and higher degree of luxury. Maybachs were put on front to face brands like Bentley and RollsRoyce. Long awaited success has never came and only around 3000 models of this brand were sold. But lets leave the history behind and let us focus on Maybach 57S interpretation in hands of American KnightLuxury. 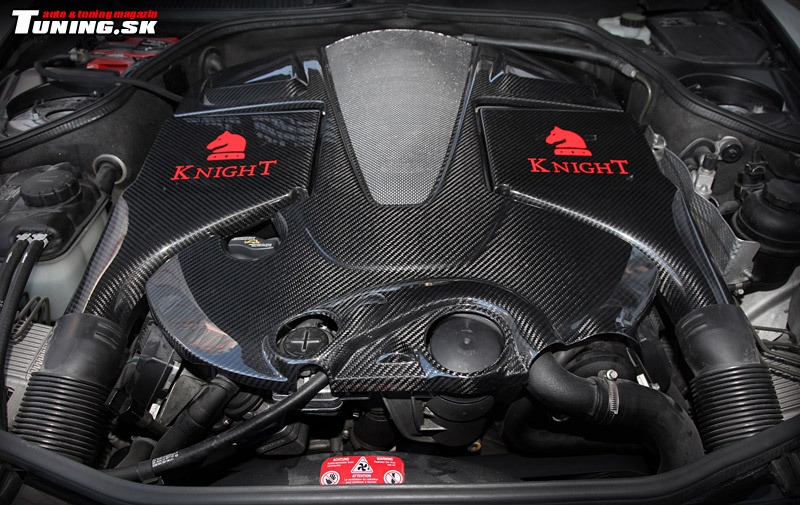 You don't have to look too long to notice the amount of carbon accessories which can form an impression of "knight in full armor" that we get from tuned up Maybach 57S. Carbon fiber front hood, side parts of bodywork and cover of storage space is nothing to be ashamed of. Shafts and spoilers which are taking care of smooth flow of air around the body are also made from carbon fiber. Specialists in KnightLuxury have put their bets on darker colors. Compactness of this dark coloring is interrupted only by the white stripes lining the car from back lights to those in front. Nothing was left untouched and new, more dynamic and sportier body kit can testify to that. Extravagant appearance is intensified by 24-inch wheels with multi-spoke design. With its look, this Maybach will strike you even in the night thanks to its under-body lighting consisting of ten LEDs and four projectors which let the KNIGHT logo appear on the ground when you open any door. There is of course no shortage of horse power which is delivered by twin-turbo 12-cylinder engine from AMG division. This upgrade is boosting the power of Maybach 57S to 712 horse power, which is very healthy improvement from former 612 HP. It only took some reprogramming of control unit and installation of 4-pipe exhaust system. There are not known data about acceleration, but tuners from Knight Luxury have showed us first class looking interior. 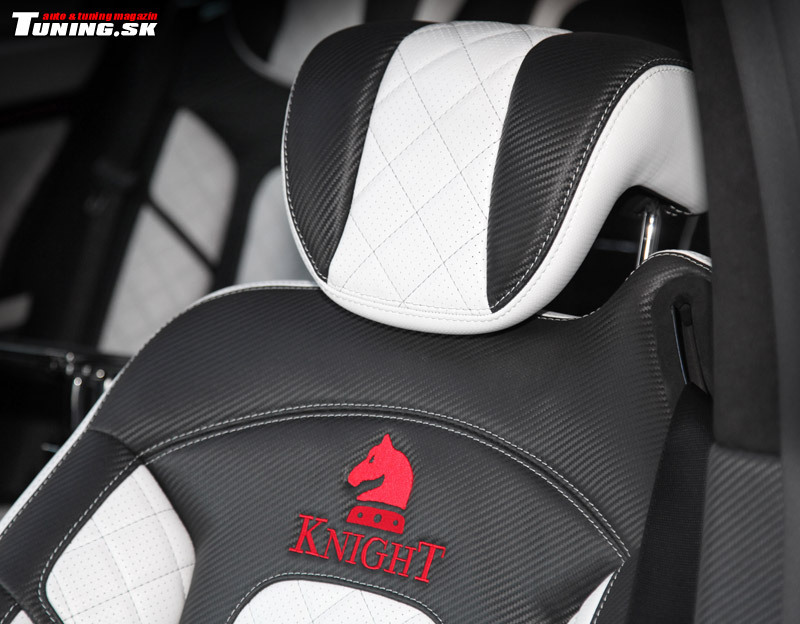 Interior is the part of tuning that KnightLuxury cares most about. Lets start from drivers space, where you can notice ergonomically shaped steering wheel and dashboard covered by carbon. Carbon is included in luxurious upholstery with decorative embroidery. Central console and automatic transmission selector also got their upgrades. 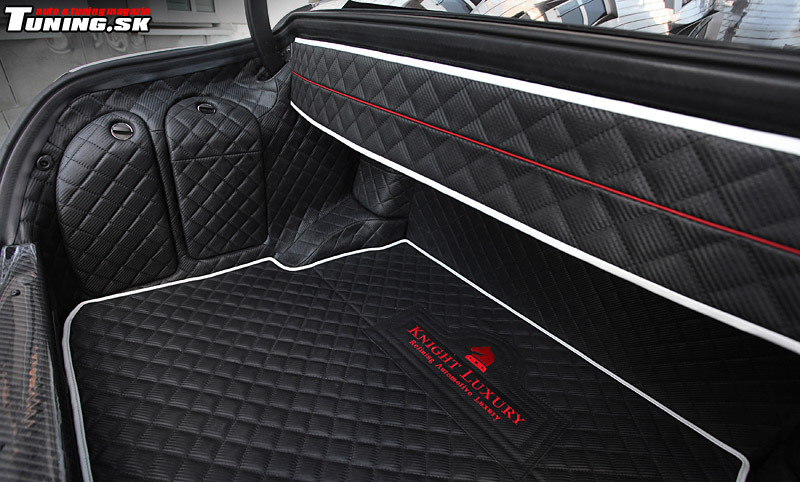 Luxurious carpets from perforated leather are signs of top class rank of this car. Do not forget to check out photos to see that KnightLuxury thought about every detail of interior. Let us proceed to the back part of our car designed to please even the most demanding passengers. Pair of adjustable seats are separated by carbon middle console which includes minibar with control panel for electronic elements. Crew at the back has at its disposal a pair of iPads and tables with keyboards. Every fan of electronics will find his heaven here. On top of tablets we are talking about TV module and mobile LTE wireless module. Lets not forget about elegant under lighting of numerous interior locations. There are in total 39 carbon decorative components. Not even tuners can certainly price fully equipped Maybach 57S but with its "full armor", our knights price tag is not going to show anything under one million dollars.